As a team of optometrists along with skilled and knowledgeable eye care assistants, our intent is doing a good job, educating you regarding your vision and eyes, offering you options for your lifestyle, customizing your eye care, and friendly service. Please contact us to schedule your appointment today. We have been understanding and serving the needs of the Los Gatos, Saratoga, Monte Sereno, Campbell and San Jose area since 1993. We take the time to listen to you. We follow through. We research your needs. We take pride in our detail of services, in the quality and exactness of the final outcome. Talk to us about your eye care and vision needs and we will put forth our best effort to make it happen for you! To spend the necessary time with you, we prefer visits by appointment. Our eyeglasses boutique is contemporary and fashion forward yet quaint and down to earth. 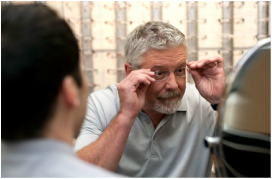 We fit all types of contact lenses from sensitive eyes to dry eyes - even those afraid to touch their eyes. 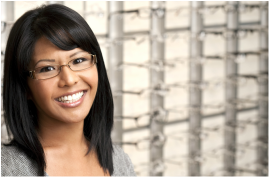 We are experienced eye care professionals, straight forward, friendly and family oriented. 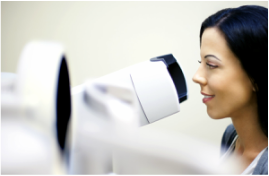 Our eye doctors combine their experience with the latest technology to provide quality care to all our patients. JOIN us on Google+ and LIKE us on Facebook!